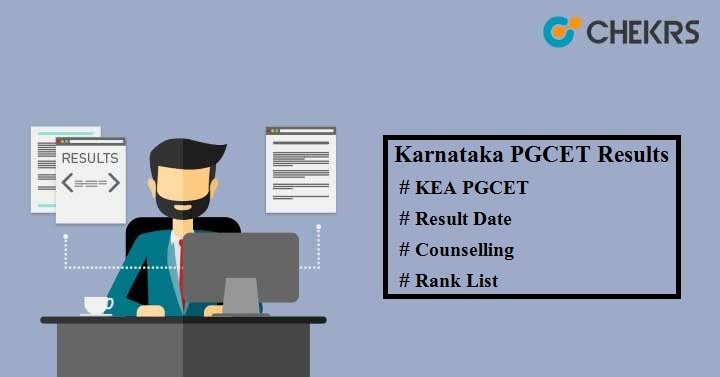 Karnataka PGCET Results 2019: Candidates who will give PG entrance exam to get admission in MBA, MTech and MCA in various institutes of Karnataka state will be able to see their KEA PGCET Score Card via online mode. Here we have the answers to all your queries, just read this article patiently and get answers to your questions. Her we have provided the expected Result Date of Karnataka PGCET 2019. We will update the date after release of official notice. Last year results were declared after 1 week of examination. Go through the points mentioned below in order to get your result online. Go to the KEA official website. Access the link of PGCET-2019 available on the home page. Click on the link of ‘PGCET-2019 Results’. Enter your kea pgcet number and then click ‘Submit’ button. You will see your Karnataka PGCET 2019 Results on your display. Save the result for future use. Result for all courses such as MBA, MCA or MTech will be issued on the same day in the form of Rank List. Candidates will have to score the minimum passing marks i.e. Karnataka PGCET Cutoff in order to get selection in the test. Based on the cutoff marks, a separate merit list will be published for MBA, MCA, ME / MTech / MArch. If two or more candidates have same score then tie-breaker will be used. A Merit List will be prepared separately for those candidates who will apply through the GATE Score Card. The selection of students will be done through counselling so after the result declaration fill out Karnataka PGCET Counselling registration form which will be available on the official website. Report to the allotted counselling venues for document verification and fill the choice form to select college & streams. After this you will get seat according to your seat preferences. For any kind of help related to Karnataka PGCET Results, you may leave your message in the comment section below.